« Who’s your favorite Passion For Danger couple? Has anyone noticed how much better TV has gotten over the past few years? Okay, I’ll admit it. I’m a TV hound. I love a good story, and have always been a huge fan of movies. When I’m not writing or reading, you can more often than not find me searching for a good movie to watch at the end of the day.But lately, more often than not, movies leave me unsatisfied and hungry for an actual plot (what a concept!). Maybe it’s because most of them are written either by 25 year-old guys with very narrow perspectives on what makes an interesting story (gag), or by aging actors who think they know how to write better than actual screenwriters (spare me). Okay, on second thought, maybe they’re right about that last part…all things considered. Anyway, nowadays when I want a really good moving picture experience, I’ll turn on the TV. All the great and innovative screenwriters now seem to be working for cable. Have you seen the excellent series on USA and FX, for example? Talk about upping the TV game. Feature films have nothing on these shows. My personal favorites are In Plain Sight, Burn Notice, Mad Men, Sons of Anarchy, Damages, The Closer, Breaking Bad, Leverage. Did I mention Justified? Seriously. I could go on and on. And that’s not even touching the incredible series on Showtime and HBO. They’re in a class all by themselves. As a writer, I am in hog heaven. At long last we are back to the groundbreaking story genius that used to be the norm in feature films, back in the days of Hitchcock, Goldman, Wilder, Ford, Capra, et al. Sometimes I sit in utter awe of the talent that is finally getting a chance to be seen. With 900 channels out there on cable, the opportunities for great and innovative writing have never been better—-despite the plethora of brainless reality shows with no writing at all that have taken over the big networks. I keep wondering what could happen if all the amazingly talented women romance writers out there would start writing for TV . . . Can you imagine? Instead of having 25 year-old post-pubescent guys tell us what we should like and what we should be entertained by, women could have stories that actually speak to and are relevant to women. Wow! Kinda like . . . well, romance novels! Sigh. A woman can fantasize, can’t she? My June Nikita Black release, a novella called “Binding Her Heart” in the WEDDING FAVORS anthology, is all about a dark, secret fantasy . . . with a little voodoo magic thrown in to really spice things up. For Tessa Kittredge, being a bridesmaid at her good friend’s New Orleans society wedding is the last thing she wants to do. Love? She long ago stopped believing in that myth. But a very special bachelorette party, a golden mask, and a carelessly tossed coin all bespell Tessa into fulfilling her deepest fantasies . . . with a dark and powerfully sensual stranger. Sultry days, sinful nights and a magic fountain. What more could a nice-turned-naughty bridesmaid wish for . . . ? I hope you’ll pick up a copy on June 1. Meanwhile, what are your favorite TV shows? Take care, and good reading! Typically pharmacy can sale to customers with discreet treatments for varied heartiness problems. What factors do families think when they are going to purchase any drugs? What about sexual life and buy generic levitra? Certainly there are also other momentous questions. The most common sexual problems in men are ED and inhibited sexual wish. Where you can read more info about buy generic levitra online? This advice is common, but it can make all the difference if you need info about where to buy generic levitra. Because some of symptoms are medic emergencies, it’s considerable to know what to do if they happen. Talk to your physician about the proper disposal of your medicine. This entry was posted on Tuesday, May 25th, 2010 at 8:59 pm and is filed under Secrets. You can feed this entry. You can leave a response, or trackback from your own site. Congratulations on your June release! I too enjoy The Closer, Breaking Bad and Burn Notice (which has my favorite B actor, Bruce Campbell). I didn’t know what to expect with Breaking Bad and Bryan Cranston blows me away. I loved Lost and thought it’s finale was quite good. Have you seen Justified? Smokin HOT!!!! The entire cast is wonderful but Timothy Olyphant is something else!!! OMG. my favourite TV show is NCIS… I love old movies. and any Star Trek. I don’t get HBO but I’ve sene the series TrueBlood on DVD and I love it! finally a quality show with bite. 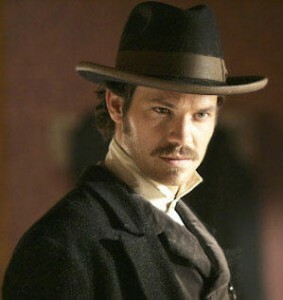 God was having a great day when he created Timothy Olyphant, wasn’t he? Loved, absolutely loved Deadwood, a true fan of Justified. Slim pickins on t.v. nowadays since I don’t do ‘reality’ series or any of the talent shows. dancing, singing or otherwise. I like Navy NCIS, House, and Bones.